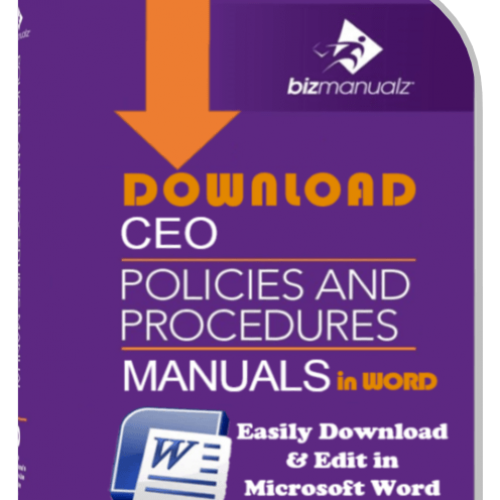 This Accounting Manual Introduction to Policies and Procedures Manual will increase your appreciation of the importance of establishing effective accounting procedures. Your business handles a continuously-flowing stream of transactions. 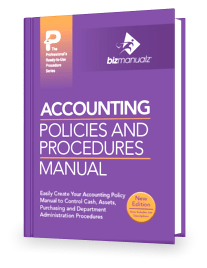 Like a sturdy, well maintained net cast across a stream, effective accounting policies and procedures help trap data completely and accurately. Once collected, the real benefit is utilizing the data to provide the information needed to review the past, position the present, and chart the future. 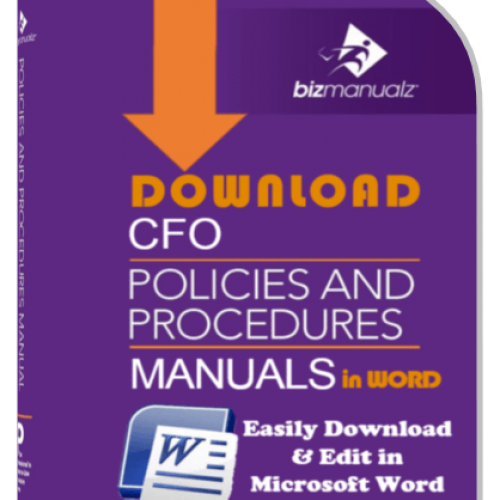 WHO NEEDS ACCOUNTING POLICIES AND PROCEDURES? ABA American Bankers Association or ABA number is a unique routing identification code is issued to a Federal or State chartered financial institution which is eligible to maintain an account at a US Federal Reserve Bank. The ABA Routing Number (a.k.a. ABA number; Routing Transit number) is used to identify participants in automated clearinghouses, electronic funds transfer, and on-line banking. ACH It is the acronym for the Automated Clearing House (ACH) of the Federal Reserve System, which facilitates the electronic clearing of debits and credit transactions to a merchant’s bank account. Arbitration It is a private, informal process by which all parties agree, in writing, to submit their disputes to one or more impartial persons authorized to resolve the controversy by rendering a final and binding award, which is enforceable in court. It can be used for a wide variety of disputes from commercial transactions to labor grievances. Average Monthly Usage For the purpose of this procedure, is the normal demand averaged over a moving twelve-month period. The average monthly usage is obtained by adding the last twelve months and dividing the sum by twelve. Bad debt It consists of unpaid accounts receivable invoices that are considered to be uncollectible. Batch All of the day’s credit card transactions are collected into a “batch” of transactions. The batch is closed, usually at the end of the day, and the result is submitted to the merchant processor as a single “batch”. Bill of Lading The documents made out by or on behalf of the shipper that constitute the contract between the shipper and the carrier for the carriage of freight. It may also be known as a waybill or airway bill. The Bill of Lading is a written acknowledgement by the carrier of the receipt of goods to be transported to a designated place and delivery to a named person or to his or her order. Before accepting goods for transport, the carrier is required to issue a bill of lading. This document contains important provisions governing the carrier’s liability for damage and for the processing of damage claims. For example, the bill of lading can contain a released valuation provision, which limits a carrier’s liability on the basis of the value of the shipment as released to the carrier. Many carrier tariffs also provide that a shipper’s failure to declare a value for the shipment will be deemed to limit the carrier’s liability to the lowest released value contained in the tariff. Capitalization Capitalization is the method chosen to record the purchase of a fixed asset on the Company’s accounting books. If an asset is capitalized then it is not expensed in the same year the asset is purchased. Instead the asset is generally recorded on the balance sheet and individually on an asset schedule. Examples of capital expenditures are purchases of land, buildings, machinery, office equipment, leasehold improvements and vehicles. The asset is expensed each year as depreciation. Carriage It is equivalent to the term transportation. It refers to the process or movement of shipments, including all services and operations of the carrier, provided by the carrier. Carrier It is the carriage (transportation) company taking responsibility (through the Bill of Lading) for transporting and delivering the consignment (goods) from the consignor (shipper) to the consignee (destination). Chargeback A Chargeback is the process that occurs when a customer disputes a charge that appears on their monthly credit card statement and the disputed transaction is investigated for potential reversal. If the dispute is unable to be resolved then the transaction is charged back to the merchant. The processor charges the merchant and returns the cardholder’s money. Chart of accounts A categorized listing of all account titles and numbers being used by an organization to track income, expenses, assets, equity, and liabilities is called a Chart of Accounts. Closing It is the process of advancing from one month or accounting period to the next or from one year to the next. 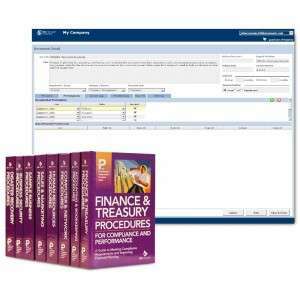 In most computerized accounting systems the periods are closed by executing a menu command. Monthly closings usually involve nothing more than entering the next month and responding to the program’s suggestion to print various month-end reports. Even after moving to the next month, many accounting systems allow the user to return to previous months to enter or edit transactions. Consignee It is the ultimate person or company, whose name appears on the Bill of Lading, to whom the shipment is to be delivered to by the carrier. Consignment It is similar to the term “shipment.” It refers to one or more pieces tendered by one shipper at one time, at one address, and receipted for in one lot, and moving on one Bill of Lading to one consignee at one destination address. Consignor It is also known as the shipper. It is the person or company that is originating or shipping the goods. 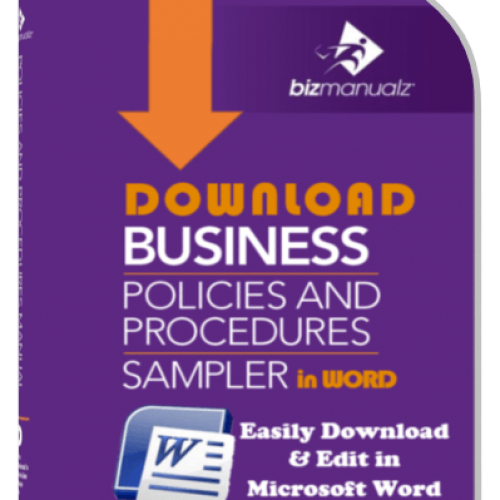 Controlled document A document that provides information or direction for performance of work is that is within the scope of this procedure. Characteristics of control include such things as Revision Number (letter), Signatures indicating review and approval, and Controlled Distribution. Cost basis The total amount paid for the asset, in cash or kind, is considered the “cost-basis”. This should include all charges relating to the purchase, such as the purchase price, freight charges and installation, if applicable. The cost basis is not the market value or list price of the asset. It is the total amount invested in the purchase or the total amount paid. Credit scoring It is the process of assigning values to various elements of a customer’s credit history and payment performance to quantify its creditworthiness. 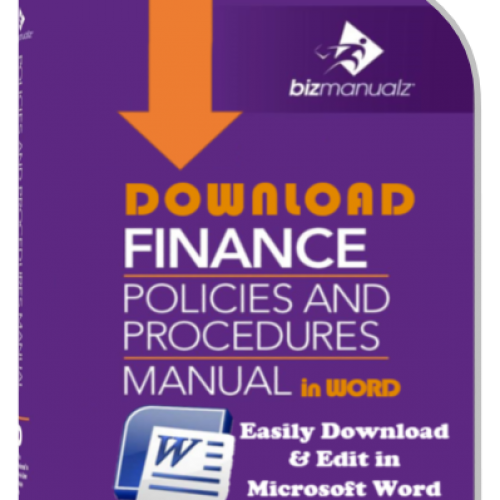 It is popular because it creates a common, unbiased approach to evaluating credit requests. Cutoff It refers to procedures, which ensure that all items counted are owned by the company and available for sale. In other words, an item, returned by a customer needs to be “returned” to inventory by the POS/accounting system before it is physically counted. Similarly, a defective item waiting to be sent back to the vendor needs to be taken out of the POS/accounting system and segregated from any possibility of being counted during the physical inventory. Debt Collector It is any person who regularly collects debts owed to others. This includes attorneys who collect debts on a regular basis. Declaratory judgment It is a binding judgment issued by the court that defines the legal relationship between the parties and their rights with respect to the matter before the court. Commonly used in contract disputes (especially useful if no physical agreement exists and or a suit has not been filed yet) to clarify what conduct is permitted or prohibited by the contract or to clarify the contract if necessary. Depreciation It is an annual income tax deduction that allows the write-down or write-off of the cost of the asset over its estimated useful life to recover the cost or other basis of certain property over the time the property is used. It is an allowance expense for the wear and tear, age, deterioration, or obsolescence of the property. Note: Land is not depreciated because land does not wear out, become obsolete, or get used up. But, the building on the land is depreciated. Land is generally viewed as an appreciating asset while all other capital assets are generally viewed as depreciating over time, with use. But, unlike depreciation, an asset’s appreciation is not recorded on the books until the asset is sold, which is when the assets appreciation is realized. Document It is Information and its supporting medium. The medium can be paper, magnetic, electronic, optical computer disc, photograph, or sample. Economic order quantity (EOQ) The calculated reorder quantity that results in the lowest total cost for procurement and possession. Procurement costs are comprised of administrative and handling costs such as solicitation, requisition, purchase, receipt, handling and storage and payment. Possession costs are stated as a percentage of the quantity purchased based on obsolescence, interest, storage costs and other overhead items. External document It is a document of external origin that provides information or direction for the performance of activities within the scope of the quality management system. Examples include but are not limited to: customer drawings, industry standards, international standards, or equipment manuals. FIFO First-In-First-Out or FIFO refers to the practice of using the oldest item in inventory first to ensure that the inventory is rotated on a regular basis. Harmonized code The Harmonized Tariff System (HTS) is a universal classification system that is used to provide duty rates for virtually every item that exists. Every item that is exported is assigned a unique 10-digit identification code. Every 10-digit item is part of a series of progressively broader product categories. For example, the harmonized system number for concentrated frozen apple juice is: 2009.70.0010. The concentrated frozen apple juice is assigned a 10-digit identifier that is aggregated into a broader category assigned a 6-digit identifier described as apple juice (2009.70.) The 6-digit identifier described as apple juice is aggregated into a broader category assigned a 4-digit identifier (2009) described as fruit juices and vegetable juices, etc. The 4-digit identifier is further aggregated into a broader category assigned a 2-digit identifier (20) described as Preparations of Vegetables, Fruit, Nuts etc. The first 6-digits of the classification number are universal, the last four may vary from country to country. Holdback requirement A condition in an agreement where money is withheld or “heldback” until a specific event or milestone occurs. Incoterms A collection of 13 internationally used terms of sale or terminology used in international trade to identify who is responsible for different activities in the delivery process. Incoterms define each element of the delivery process for both the seller and the buyer. The scope of Incoterms is limited to matters relating to the rights and obligations of the parties to the contract of sale with respect to the delivery of goods sold, but excluding “intangibles” like computer software. The International Chamber of Commerce maintains the Incoterms. Further information on Incoterms can be found on the International Chamber of Commerce website: http://www.iccwbo.org/index.asp. Manifest It is a document that lists all outbound (or inbound) packages picked-up by a specific carrier on a specific day. Net realizable value The amount that can be reasonably expected or forecasted to be sold or used is considered the Net Realizable Value. Plan-O-Gram It is used to layout or plan for the display of merchandise within a retail store. Plan-o-gram analysis enables sales projections based on item-level financial data to determine product rotations. Most Plan-o-Grams are calculated on a monthly to quarterly basis and provide a tool to ensure better selling items are identified, inventoried and displayed for sale. Point of sale A Point-Of-Sale or POS system is an automated cash drawer that ties into the accounting system to record all sales transactions. The POS will typically process credit card transactions and returns, manage inventory, accounts receivable, payables or it may be web or network enabled. At its core is a computer with software that can include any number of functions. Processor The processor is responsible for authorizing credit card transactions and settling each batch. The processor is also the company that one must interface with on all discrepancies or “chargebacks”. Reorder point It is the point at which an item will be reported for review and calculation of the reorder quantity. Review Refers to the procedures involved in examining the financial statement balances at any given period to ascertain their accuracy. Safety stock The calculated minimum quantity considered necessary to satisfy demand during the requisition, purchase and receipt cycle for replenishing the item. The suggested safety stock should be a 30-day supply, based on the average monthly usage, but should be adjusted according to market conditions. Sales tax exemption certificate A document typically used by a non-profit organization to certify an exemption from paying tax on a purchase. This is presented at the time of purchase. Settlement The processor clears the credit card transactions in the batch and the result is “settled” to the designated bank account. Settlement varies by Credit Card Company but usually occurs in 2-3 days after a batch is closed. SKU A Stock Keeping Unit or SKU is a tracking number used by order entry system to identify stocking items in inventory. An SKU may be a manufacturer’s part number. Statutory declaration A statutory declaration is a sworn statement. For official purposes, it is signed by a person who is legally authorized to administer an oath (i.e. a lawyer, judge, or notary public). Tender item Any item used to tender or pay for a transaction is considered a tender item. Tender items can include coupons, gift certificates, credits, rebates, cash, checks, barter credits, etc. Training Formal or informal effort or instruction to improve knowledge, skills, or competence levels of employees. Trend Direction demonstrated through observation of data and/or indicators over time; general drift or tendency in a set of data; general movement over time of a statistically detectable change. UPC A Universal Product Code or UPC is a standardized and unique product barcode used to identify packaged merchandise through the use of a barcode scanner. Validation Process of evaluating a system or component (during or at the end of the development process) to determine if it satisfies specified, or stated, requirements. Vision What and where an organization believes it will be within a stated time period (e.g., five or more years from now). An effective vision ensures focus and direction, providing everyone with a common mental picture of the Company’s future state – a word picture of what and where the organization wants or intends to be.